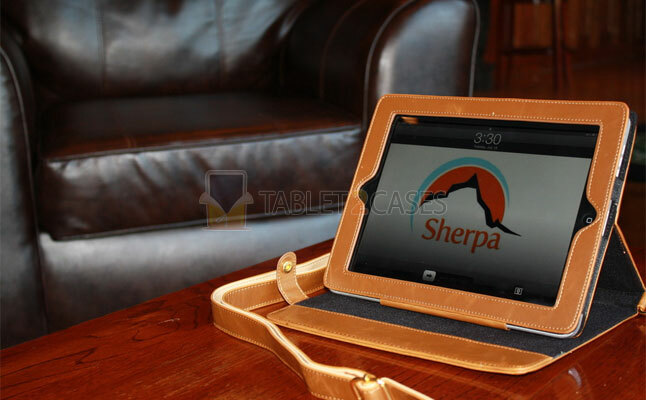 Sherpa Carry iPad case with shoulder strap is a classy book tablet case made of leather. The case is both good looking and functional. 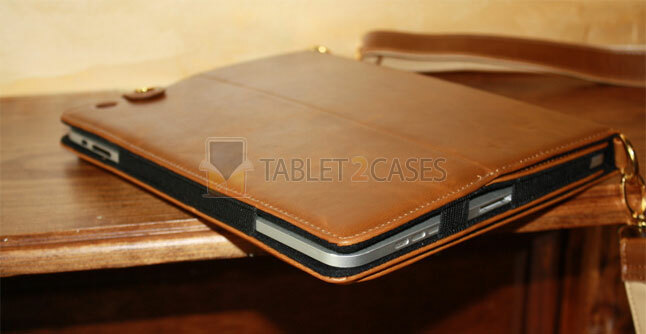 The smooth leather tablet case not only protects the pad, but is also nice to look at and touch. The new case doubles up as a tablet stand offering various angles for typing and viewing multimedia. An adjustable shoulder strap made of matching leather is an easy solution to all your carrying needs. 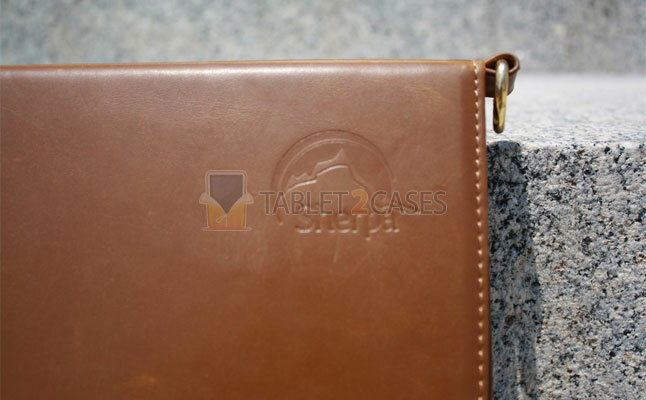 The ultra-soft interior of the case protects the pad’s screen from scratches and smudges. 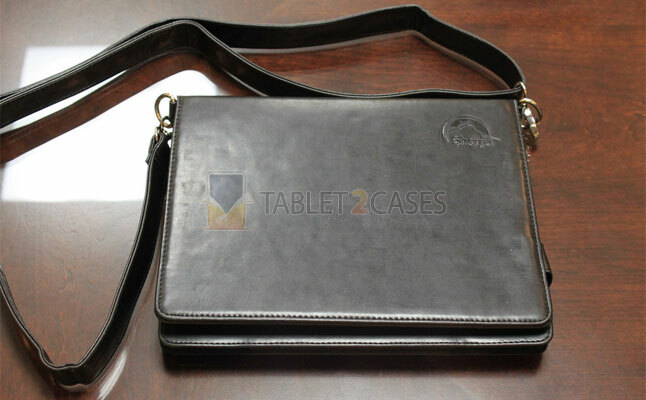 The case fits the Apple iPad and iPad 2 perfectly, providing a glove-like security and preventing the device from slipping out. All ports and buttons can be freely accessed with the case on the pad. The Sherpa Carry case is the perfect combination of ultra-slim design and classy looks, which offers trendy iPad owners great functionality. 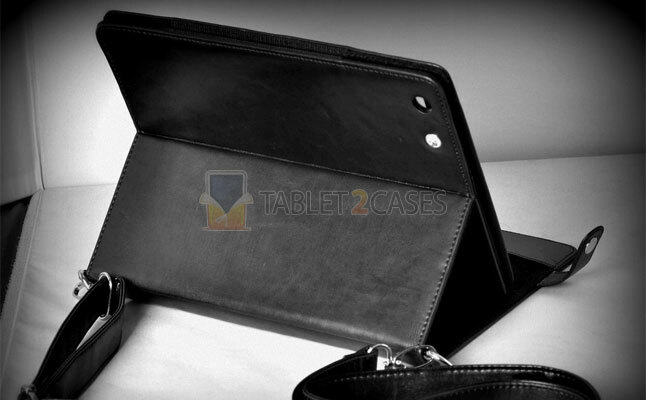 Tablet2Cases recommends to buy it now for $49.99.